When I saw the breaking news of earthquake and tsunami in Japan on March 11, the memories of 2004 Tsunami which stuck the coast of Bay of Bengal ran through my mind. It was 26th December morning (around 7.00am), I woke up to the jolt of the earthquake. I turned around to take a look at my aquarium just to confirm the quake. I have read somewhere that fishes can sense a quake.Yes! My fishes looked restless to me. Before I could react, the tremor stopped. It all happened in 20 seconds or so. We got back to routine after that, hardly realizing the damage that quake had brought with it to Indonesia, Sri Lanka and Coastal India. My parents were on their way to my grandparent’s village. Just within few miles along the East Coast Road,Chennai the freeway that leads to Pondicherry; my dad saw hundreds of people from the fisherman community run towards the main road stopping the vehicles that drove past them. The scene looked like a riot and no one had even guessed it to be a massive natural disaster. Innocent people who had fallen a prey to Mother nature’s fury were trembling, screaming and crying . They yelled in Tamil “Kadal ulla varuthunga..kapathunga( meaning sea is coming inside, please save us)”. The coastal regions of Bay of Bengal were in a turmoil. As he drove by the General Hospital in Cuddalore, my parents witnessed heaps of dead bodies lying around the hospital campus. My eyes turn moist when I think about that day. The word “tsunami” was heard for the first time and slowly the death toll went high as each day passed by. Loved ones went missing, some were dead, lost their home and wealth. When I heard the news about Japan Tsunami, I could imagine the degree of their trauma and the courage and strength they will need to fight back. They need our prayers, mental,physical and also financial support. It isn’t possible for me to go to Japan and get on the grounds to help them. Little which I could do was to participate in an event that would generate some funds for them. The moment I received a group mail about the bake sale for Japan, I didn’t even think twice to participate in the event .I immediately contacted Samin and she shared the contact email for Paige of Canning with Kids who was organizing the sale in San Jose. S and I had been thinking about ways to send money to the people of Japan. Apart from Red Cross, we couldn’t get find any genuine charity organization. 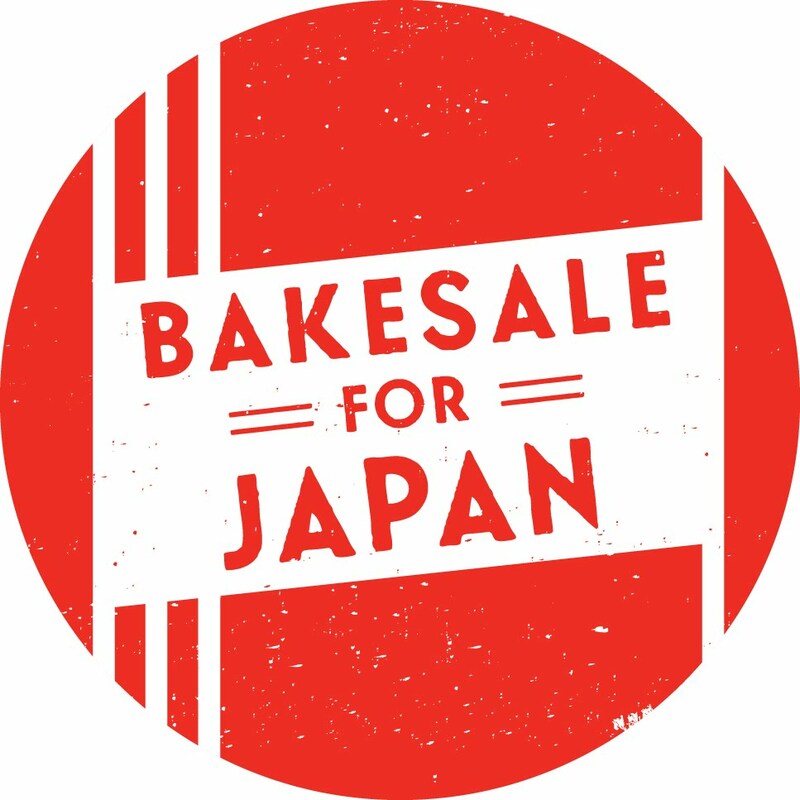 When I told S about the bake sale happening in San Jose, we felt that this is the perfect opportunity to show our care for the people of Japan. In an effort to lend our helping hand, I am participating in the “BAKE SALE FOR JAPAN” event. Why: So we can donate BIG BUCKS to Peace Winds Japan and help our brothers and sisters over there in the best way we can. We will be folding 1,000 paper cranes to send to friends in Japan. Do you have origami paper to donate? Can you teach others how to fold cranes on the day of the sale? Send an email to Paige. After the bakesale is over, we’ll be continuing our celebration and support of Japan. From 3 p.m. to 6 p.m., Ukulele Jams and Ukulele Source will be holding a Kanikapila at the Roy’s Station to benefit Japanese Red Cross Tsunami and Earthquake Victims. Smiley and Janet Kai of Ukulele Source will be donating a Ukulele for the raffle. Baristas will be donating all of their tips for the day, and Roy’s Station will be donating 10% of their sales. Roy’s will have some great prizes to raffle off, including a Kala soprano travel ‘ukulele (MSRP $225.00). 100% of the raffle proceeds will be donated to the relief fund. We will be using Jim Beloff’s The Daily Uke for most of the songs for our monthly kanikapilas. This books is a compilation of 365 songs (one for every day of the year) with a good variety. If you would like your own copy, you can pick one up at Ukulele Source. For each book sold between now and April 2nd, Ukulele Source will donate $5.00 to the relief fund. For more information see the Facebook Event Page and National Bakesale for Japan website. Wat a beautiful gesture, seriously i want to participate,but unfortunately am not living in US…U rock gals.. Participate.. and lets do our bit of share.